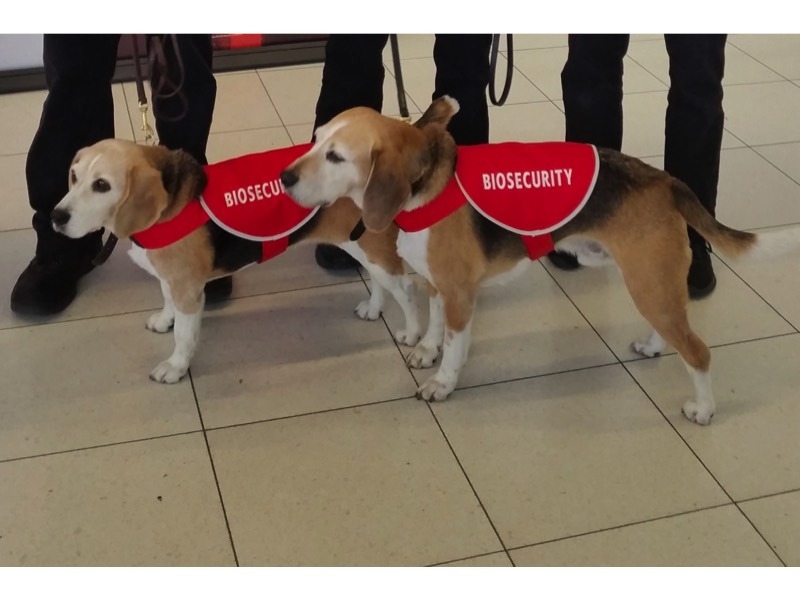 We can provide a large range of dog coats and clothing, such as jumpers and bandanna, to suit your needs. Call us to discuss your requirements and we will make suggestions if you wish. Pricing is determined by style, fabric, design set-up, embroidery/printing, and quantity of coats. Custom style - cost depends on complexity of design. 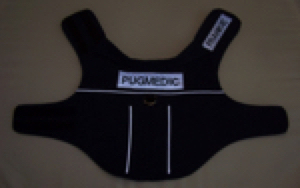 Type of tummy strap (elastic with velcro tabs; webbing with click-buckle; fabric with velcro tabs) to hold garment in place. Quantity embroidery (there is a set-up fee + fee per embroidery design per coat. If two sides are different there may be two set-up fees. 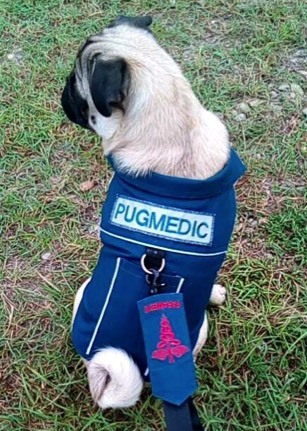 A special uniform for Frankie the PUGMEDIC. Frankie is the Queensland Ambulance Service's dear little mascot. 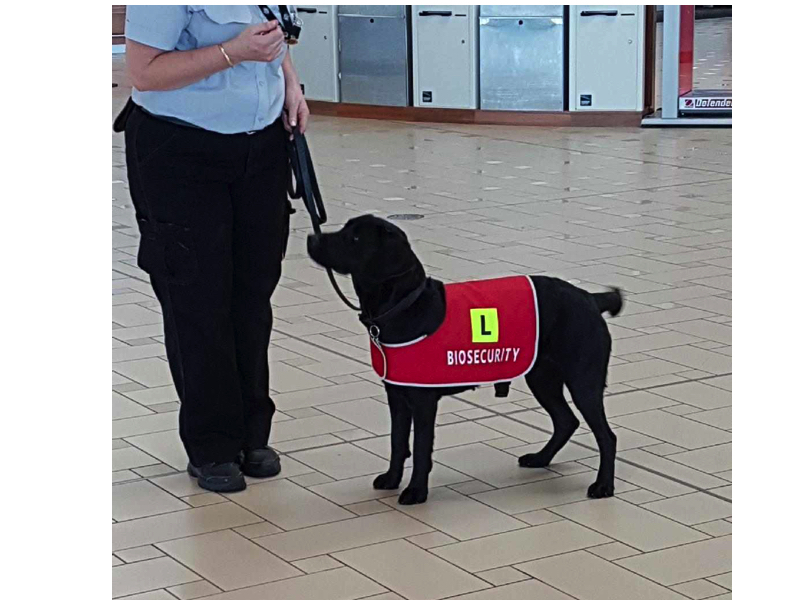 His uniform is the same style as the Paramedic uniform - including the collar, pocket, reflective trim and name. Showing style of Frankie's uniform with reflective piping and name tags. 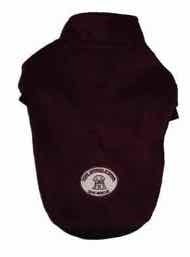 Fleecy Jumper: Thick fleecy dog jumper with embroidered patch on back. 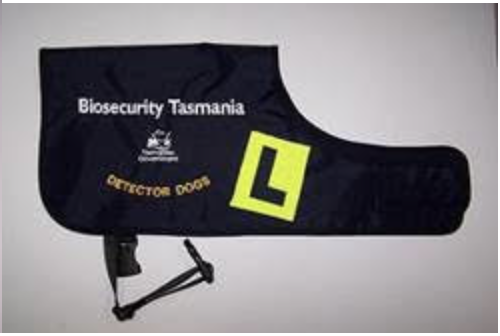 (5) Style L/WTB/NEXV BIOSECURITY Click buckle under tummy. 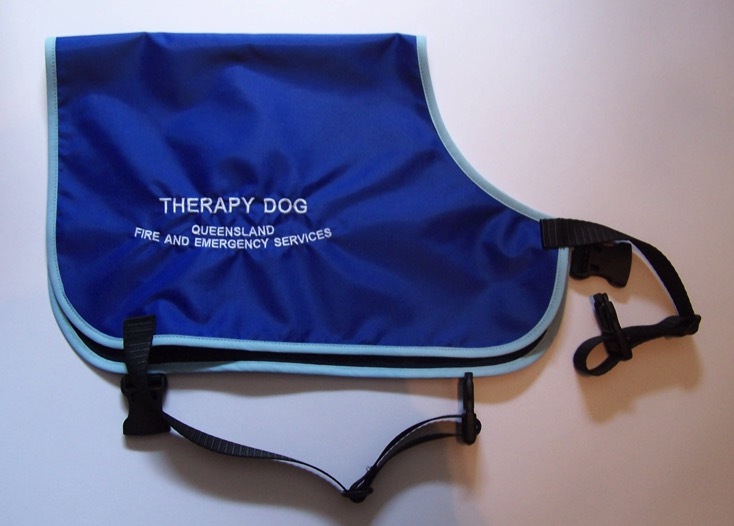 Front extension with velcro closure. (6) Style L/WTB/NWB QFES Click buckle under tummy and at front neck.